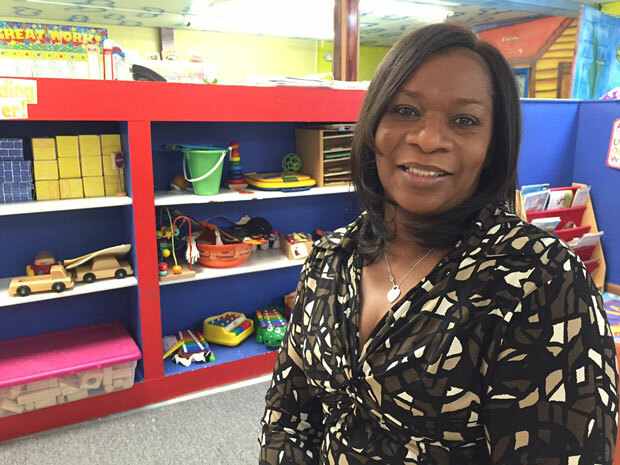 Sandifer Thomas owns and operates two daycare facilities in the South Suburbs. Many of the families she cares for have not been notified whether they qualify for subsidies. Some daycare providers in Illinois say the state is still behind on payments for families who need help affording child care. Last summer, Gov. Bruce Rauner’s administration cut back on who could get the assistance. But those restrictions were relaxed a few months ago. That’s created a flood of applications for the Child Care Assistance Program, or CCAP. Offices that process those applications are overwhelmed. Sandifer Thomas is one of those child care providers who is still waiting for state payments. Many of the families she serves have been waiting months to know whether they qualify for subsidies. We welcome your stories for this series. You can email us at caughtinthemiddle@wbez.org. Be sure to include your name and contact information. Susie An is a reporter for WBEZ. Follow her @soosieon.